NO FEE RENTAL! Easy rental and application process through the On Site Rentals and Sales Office. A favorite among business travelers, live in a true Manhattan apartment at Executive Plaza. On-site Rentals Office: Easy showings, quick lease signing in our on-site conference room. Guest services with our on-site staff. 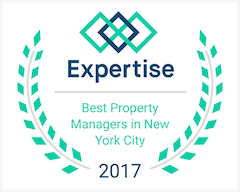 Located on the mezzanine level at Executive Plaza, Empire State Properties has been in the furnished rental business for over 25 years. Apartment amenities: Kitchen housewares, bed and bath linens, Queen size bed, sofa. Some units have a pull out sofa. Utilities included: wireless Internet, cable television, local phone service and electricity Building amenities: 24-hour concierge, fitness center, laundry room, dry cleaner valet service, rooftop deck Location: Located between Times Square and Central Park/Columbus Circle, and steps away from Rockefeller Center, Executive Plaza is the ideal spot for centrally located accommodations in New York City. Near the major subway lines (1, N, Q, R, F, B, D, E), with easy access to bus transport as well. 30-day minimum rental. Taxes applicable on stays less than 180 days.